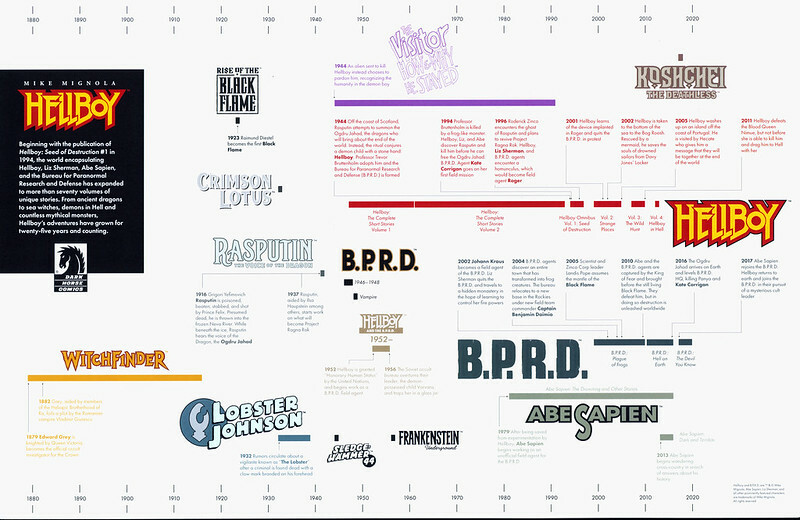 Dark Horse is giving away a Hellboy Timeline Lithograph with exclusive artwork from Mike Mignola. anyone here going would love to get one of these. I was lucky enough to grab one of these at the DH booth yesterday at NYCC. They weren't out on display, but if you asked they would give you one. Sorry, I don't have an extra, but when I have a chance tomorrow I'll throw up a Hi-res scan of both sides - the artwork is awesome. Last edited by Shoreline99; 10-09-2018 at 11:32 AM. Thanks for scanning and sharing this. I have to somehow get one of these. 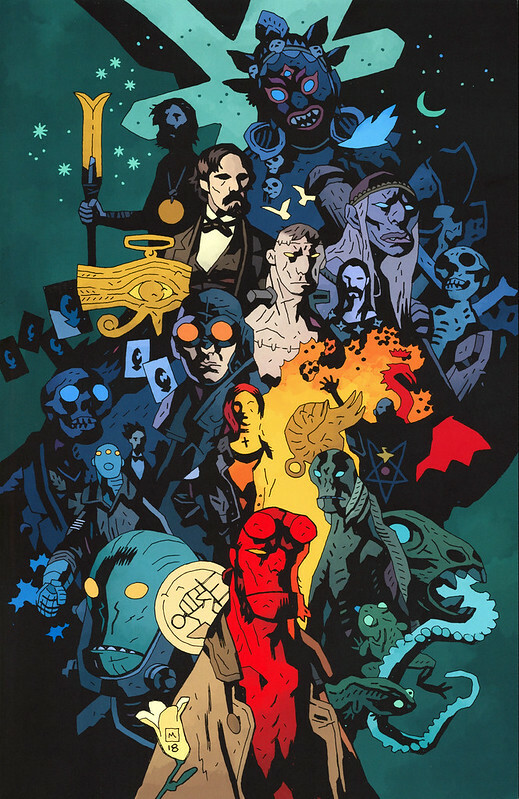 so much Hellboy-verse history in one picture. Whoa! That is awesome! Thanks for sharing!